Robert considers himself to be the founding / O.G. 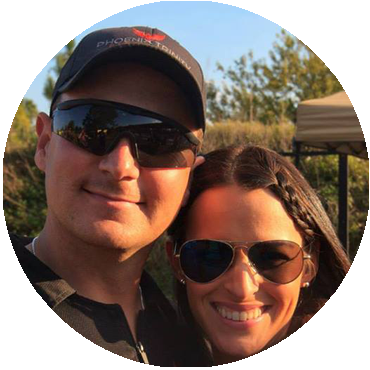 member of Team Trinity and has been shooting professionally since 2013. Since starting, he has now shot over 100 majors, shooting in the Open division as a Master. Robert’s favorite match to shoot is Nationals because this is the one match you get to shoot against the top shooter’s in the World. Robert’s current gun setup is 38 super comp Phoenix Trinity open gun with 3 poppel holes. For ammo he uses 124 Precision Delta JHP’s with CFE powder. He prefers the C-More aluminum setup with 6moa dot for technical matches and 8moa for steel and “hoser” style matches.